Another week begins with the Nintendo Download Update in Europe, and this particular batch brings us the result of a Nintendo Direct reveal, a LEGO movie adaptation, more classic Mega Man and some discount options. It's a relatively short list, bringing us a slight pre-E3 lull. 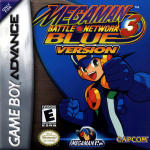 Mega Man Battle Network 3 Blue & White (Capcom, €6.99 / £6.29) - Another continuation of the RPG gameplay introduced in the first two games, with malfunctions thrown into the mix. Although this comes in two different versions, the content is largely the same across both; we gave this a glowing recommendation in our Mega Man Battle Network 3 Blue & White review. 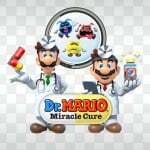 Dr. Mario: Miracle Cure (Nintendo, €9.99 / £8.99) - This latest entry in the franchise combines plenty of ideas from its predecessors with the Miracle Cure pill, which has multiple uses that can switch up a game. 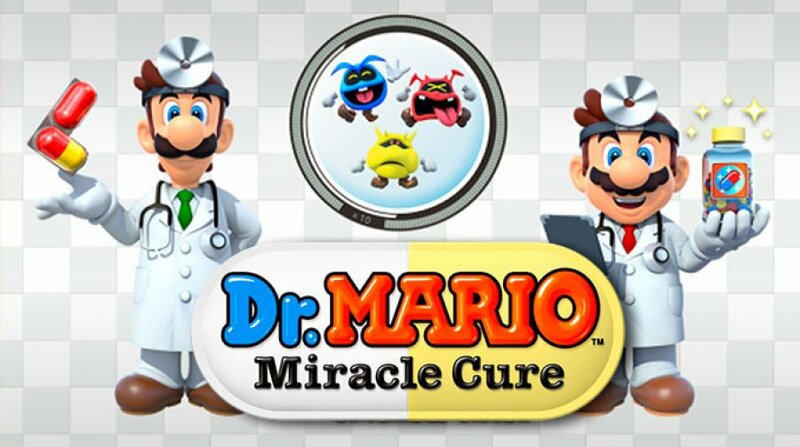 There's Dr. Luigi, Virus Buster, multiplayer (online and local) and download play included; we'll see whether this makes us feel better in a review. LEGO Jurassic World (€29.99 / £24.99) - This LEGO adaptation of the original trilogy and this summer's blockbuster is out on both Wii U and 3DS this week, though oddly only this portable iteration is confirmed for the eShop so far. That's the full European line-up for this week - let us know what you'll be downloading in the poll and comments below. What will you be downloading first this week? Wow, Capcom really milked Megaman to death! Does Nintendo just have 50 Megaman games on standby for weeks when they can't think what to throw out there? @andyg1971 yet Capcom stick thier middle finger up at Nintendo for anything else. Sometimes i wonder why Nintendo keep them around. That's all of it? Hmmmm.... Getting Dr. Mario, Fullblox and Boxboy this week. No mention of Lucas DLC? Can we possibly have some decent discounts! Very quiet week then, must be saving some surprise releases for E3! For once im happy with the lack of content this week. It gives me hope that there will be some nice surprises next week. Im just waiting to hear those magic words: "This will be available shortly after this presentation"
At least the Wii U and 3DS both get a good game. So there have been way worse weeks than this. I see O2 are discounting there games again, I don't know why they just don't put them on the lower price permanently. Capcom can sit on it and swivel. I've never really been a fan of Dr Mario so I guess it's nothing for me this week. @TheHumbleFellow Weirdly no. Not sure why, maybe a second pre-E3 batch of details is coming after Thursday, as Lucas arrives on 14th June. @TheHumbleFellow This update is for the 11th of June. Lucas is live on the 14th of June. Man, I would like a lit bit lower price for Dr. Mario. It's a little pricy in my currency. That's the weakest line up for month. The last time the line up looked that bland a Nintendo Direct followed and brought us two new systems. So I'd guess Nintendo will be releasing more games mid-week after the E3 conference. Come on, hands up, who doesn't have Fit Music for Wii U yet? Exactly what I was gonna say. I didn't expect anything more than this; on the contrary, I'd have been worried if there was many stuff, which unsurprisingly isn't there this time around. Nintendo is no stranger to surprise additions in the wake of Nintendo Directs and such and this week is no exception. So I'm confident this week is gonna be awesome, no doubt about it - we just don't know to which extent yet. I thought Dr. Mario comes out Wednesday 10 june not thursday 11 june. Although I want Mega Man Battle Network 3, I'm going to wait in case next week Nintendo announce Fire Emblem: The Binding Blade. 3 Battle Network games, MegaMan & Bass and, if DS VC will be involved, 2 ZX and 3 Star Force games. What exactly is your problem with that ? Nothing for me this week. Again. By the time I've played enough Splatoon, Yoshi's Woolly World will be out! So no downloads for quite a while for me. I haven't used the eShops for quite a long while! I'm definitely buy MMBN3, and will probably get Miracle Cure eventually, but not this week. i thought the last 2 weeks for 3ds was a delight,but this week is utter joy!!!!!! what is nintendo playing at!!!!!! isn't LEGO Jurassic World for Wii U also????? Where is LEGO Jurassic Park for Wii U? Nothing for me, though I might check out the Dr Mario game. Christ almighty, that Dr Mario price is a joke! Probably gonna pick up Battleminer on sale. Dr. Mario is way too expensive... so nothing. Is it just me or does this week feel a bit empty. Gah...with so many games on my wish list, weeks like this are a kick in the jewels. Another 'Nothing...' week! How many in a row is that now? Seriously though, yes, MegaMan is a long running franchise with many different sub series and genres. that's it!? there is got to be more game release in Eshop for europe this week!? @Einherjar How many Megaman games do you really need? An average series from an average company that is not even supporting the Wii U! "Dr Mario, Lego Dinosaurs, Mega Man and more." Megaman is dull, dull, dull. Its people like you that deny us Mega Man Legends 3. How many Megaman games do you really need? All of them. If they can be put on to the Virtual Console, put them on the Virtual Console. Same as with any other game or series. Besides, as you should full well know, the Battle Network series plays completely different to the classic, X and Zero series. @andyg1971 Well, be glad @Bass_X0 was quicker, as i would have said the same thing, but not quite as nice. I wonder what nintendo are going to do when they eventually run out of megaman games. Wow what a crappy week jeez!! Don't worry guys, just had it confirmed from Nintendo that next week they are releasing Megaman Battle Network Hyper Smash 2 Worlds Collide Magenta, things are looking up at last!!! im hoping for Gotcha racing this week in north America. I think its still a few weeks away. was hoping Europe may have got it today. "Dr Mario Miracle Cure, Fullblox (Stretchmo) and Box Boy"
Considering eshop sales are now a bigger deal for me than steam, this is quite dissapointing. @AyeHaley @ikki5 I ate some of its legos choked and died, so its nolonger coming to wii U, sorry guys. Yes I wrote this message form the grave. goml.